Today I had an experience, which sadly was not untypical. I had commented on what someone had posted on Facebook and someone else commented after me, telling me to f*** off. Admittedly what I posted disagreed with what the original poster had posted, but I was respectful and relevant (two things I insist on when people post on my page) and if the person who took exception to my comment had politely challenged me on what I posted or had asked me to elaborate further, then I would have gladly responded. And for those wanting to know more: the person who posted originally was a well known Christian with a large following, and like me had taken it upon himself to give his views on what is going on in the world. In this post, as in many of his posts, he was having a go at Donald Trump. I disagreed and wanted to offer my corrective. I suppose some might have advised me NOT to not even go there! 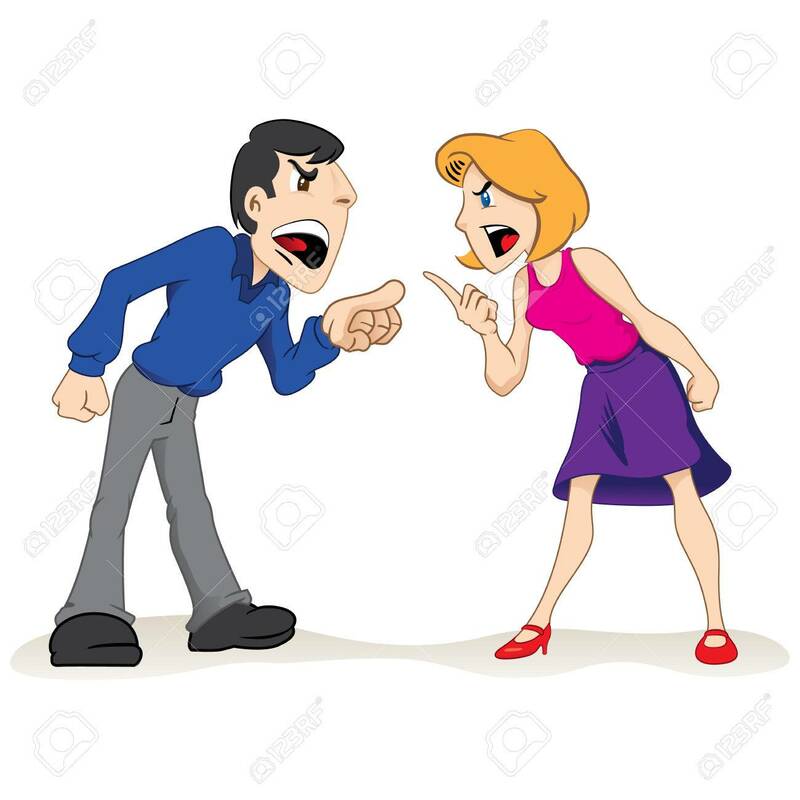 If is a sad reflection of our times all too often we do not do what I often advocate on my pages: politely agree to disagree when you and the other person have irreconcilable differences and, if pertinent, look for common ground, i.e. things you do agree on, and work together for the common good. Sadly, often we see people holding polarized positions and spending more time fighting each other than finding ways to work together to help those in need. While I am pretty opinionated, and some say stubbornly so, I like to think I can be persuaded when I am wrong and try to respect those who see things differently (albeit not always successfully) realizing each one of us has our own unique perspective on the world. 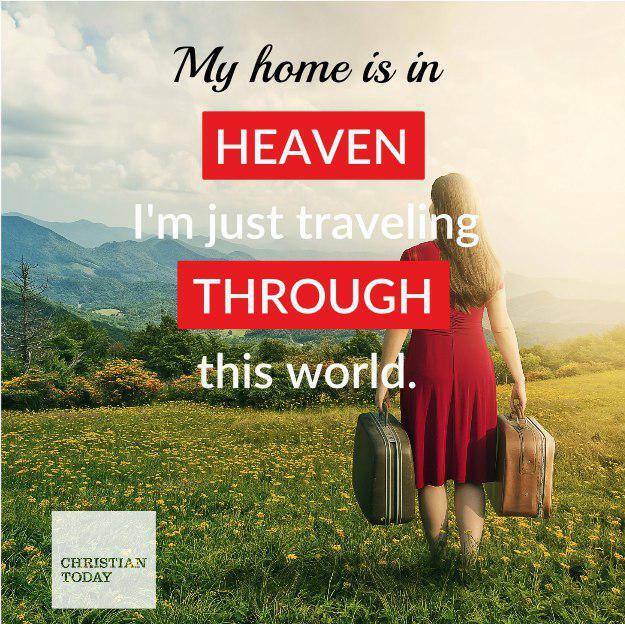 Also today, someone shared a meme with the words: “My home is in heaven, I’m just passing through this world”. Looking back at my early Christian mentors, that would have been the line many of them would have taken and they would have looked upon worldly involvement and debating worldly matters with some consternation. Of course, there is a time and a place and going back to my experience earlier today, it may not have been the time and the place given some of the readers of that original post will not have taken lightly being taken out of their comfort zone and maybe there are better ways to spend my time than poking my nose in when not wanted. But the issues of the day do need to be aired if we are to improve the world, and it is better reason and right should win the day than he who shouts loudest and carries the greatest clout. While respectful discourse, ideally based on facts and reason and exchanging views, is a healthy thing (imho) sometimes it is a matter of biting one’s tongue and focusing on doing whatever good we can, while we can. We may well be heaven bound (I pray those reading this will be) but we have to negotiate earth in the meantime, and do so as best we can. Sometimes we need to put discourse (respectful or otherwise) to one side and simply do what little good we can.